Agility has reported double-digit revenue and earnings growth in Q2, primarily on the back of strong forwarding volume growth. Agility’s revenues were up 12.3% to KWD384.2m*, while EBITDA improved by 13.6% to KWD37.1m. The logistics division, Global Integrated Logistics (GIL), saw revenues increase by 13.4% to KWD289.3m. Net revenues however rose by just 5% to KWD66.7m. Revenue and net revenue growth rates for the first half were 14.5% to KWD567.4m and 6.4% to KWD131.3m respectively. Air freight volume growth in Q2 was 14% year-on-year, with Agility noting “stable yields”. Air freight net revenues were up by 21.9% in Q2 and 20.3% in the first half. Conversely, ocean freight had “lower yields”. In Q2, container volume increased 8.2%, though net revenues increased by 7.4% in Q2 and 7.3% in the first half. Geographically, air freight and ocean freight growth were strongest in the Americas, Asia Pacific and Europe, though Agility did not provide precise numbers. The Contract Logistics segment of GIL “continued its steady growth, primarily in the Middle East and Asia Pacific, as a result of new business and effective utilization of facilities”. Net revenues grew 3.2% in Q2 and 4.5% in the first half. Overall, GIL’s net revenue margin was 23% in Q2, down from 24.9% a year earlier due to “yield degradation in Road freight and Project Logistics, primarily in the Middle East and Europe”. Its EBITDA margin was 3.2%, slightly lower than 3.6% in Q2 2017. As for the Infrastructure division, revenue grew by 9.5% to KWD97.5m. EBITDA increased by 16.8%, after adjusting for the impact of the US government settlement in 2017. 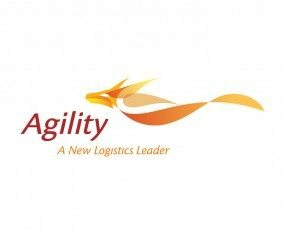 Agility has concluded its Phase I development in Riyadh, Saudi Arabia, of 80,000 sq m of warehousing capacity and has started with Phase II, for which an additional 120,000 sq m will be delivered in 2019. Agility also noted that its projects in Africa are “progressing according to plan”, with Agility Industrial Real Estate moving ahead with its development in Ghana and prepares to start new developments in Mozambique, Nigeria and Cote d’Ivoire. Perhaps the Infrastructure division’s most significant event in the quarter was its agreement with the Suez Canal Economic Zone to develop East Port Said’s logistics and customs infrastructure in June. Such developments highlight that Agility is a rare breed of large logistics provider, with few others involved in such work, particularly the modernisation and automation of customs processes. Ti’s new Global Freight Forwarding 2018 report contains full analysis and insight from an interview-based research programme. As well as extensive depth and detail on the threat and transformation posed by tech forwarders, further analysis of the benefits of introducing new technologies into forwarding processes, the opportunities and challenges of serving SME shippers and the potential of African markets is included. Click here to download today.